Colon cancer is reported to be the second most diagnosed cancer, and in fact is the second leading cause of cancer death in the U.S. Colonoscopy is the test most widely used for colon cancer detection, and that screening procedure is recommended for all adults over age 50. Not always is an injury during a colonoscopy the fault of the physician, but when a doctor is not skilled, or does not apply the appropriate level of care, that is medical malpractice, and it can have some rather devastating results. Doctors who perform colonoscopies are aware that perforating the colon (making a hole by mistake) is a known risk of the procedure, even when there has been good medical care. The reason a patient might have a valid personal injury case is that the doctor created a hole in the colon and failed to recognize it (and take necessary steps to repair the damage). In July of 2008, R.G. then 59 years old, underwent his first colonoscopy. A suspicious polyp was discovered. R.G. was referred to a colorectal surgeon who performed a second colonoscopy the next day. The polyp was too large to remove at that time, and a CT scan was scheduled for five days later. The scan revealed a perforation in R.G.’s colon. R.G. sued the surgeon, alleging that the doctor had failed to advise him to look out for signs and symptoms of a colon perforation following a colonoscopy, and then had failed to properly treat the infected perforation after it was detected on the scan. The jury awarded the plaintiff pain and suffering damages in the sum of one million dollars. 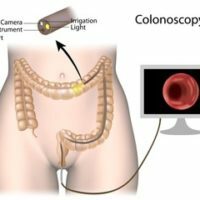 “There are a number of factors that affect the difficulty of a colonoscopy,” an article in the National Institutes of Health states.” Obviously, foremost is the overall technical skill of the endoscopist, which includes his or her innate manual dexterity, degree of formal training, and personal experience.” Importantly, the authors add, “Canadian endoscopists with higher volume performed fewer incomplete colonoscopies”. At Ramey & Hailey, our experienced attorneys will know how to research each element of the case in order to protect your rights and help you attain the compensation you deserve.